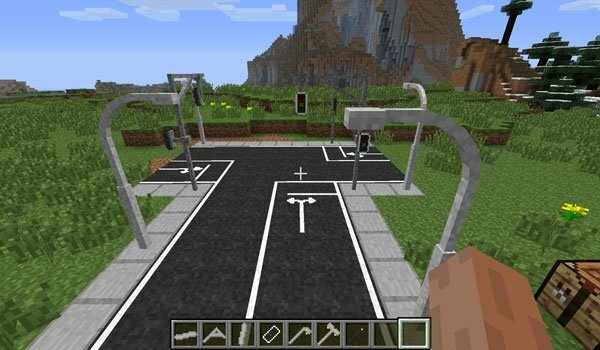 Traffic lights, street lights and other items to decorate your urban cities in Minecraft. Lamps and Traffic Lights 1.7.2 is a mod that adds various urban elements to the game, with which we can decorate our cities mainly because some of these objects are streetlights, traffic lights and iron beams for bridges. Now that you have the necessary lighting elements to decorate and illuminate your cities, remember that you can create roads and traffic signs using the RoadWorks mod, created by the same author in addition to providing greater flexibility to the cities in the game. How to install Lamps and Traffic Lights Mod for Minecraft 1.7.2? You already have traffic lights, street lights and other light to build your city!